This entry was posted in Poetry and tagged butterflies, death, forget me nots, graveyard, mourning, poetry, rebirth, regrets, soul. thats so beautiful in words.. I wonder one can write such a gorgeous poetry when it comes from inside the soul or in memory of someone. And the resemblence in butterfly was also quite thoughtful of you !! I actually did read this but had to close it, it was my week of vacation from June 30 to July 7th. I have such a close love and friendship with my brothers. This poem brought me to tears. Your poem was a beautiful, poignant tribute. I love that butterflies are like little angels and sweet messages from above or sent directly from your brother. Randy has quadruple bypass surgery at age 50. I sat next to him as he slept, he in one Lazy boy while I was in another. Upright and ready to help, once he was at home. He made it to 60, this year. I am very sad at the loss of your dear brother, Diana. I love the picture and the words are great. I would do same if I had lost a brother, I would always be writing about him. I know what you mean, it is good to inhale and breath it out. I can see why you write about him, it is good to keep his legacy going. It does make you feels better. Take care. Beautiful word pictures, Diana. A lovely flower blooming from hard soil. Such a beautiful poem and nice tribute to your brother. I’m so sorry he wasn’t with you longer. A nice coincidence: I was walking in the street on this day, and saw a beautiful pale-yellow butterfly and snapped a picture. Of course, species have slightly different features in Ukraine from what I am used to, so I was quite taken by the “unusual” beauty. Thanks for the lovely comment. ❤ I was on the beach that day and saw dozens of monarchs. A peaceful day. BTW, this reply is late because I just found your comment in spam – 2 for you this week. Sorry. Hugs. A gorgeous poem with rich imagery…what a beautiful tribute. ❤ And I love the thought of butterflies surrounding you, appearing to you. It seems a mix of Mother Nature and Magic. What a beautiful way to honor your brother! What a lovely tribute to your brother, Diana. And what better use of art than to turn pain into beauty? Death is the one thing that never gets easier with experience; loss is a pain that loses frequency over time, but never potency. This is extraordinary, Diana. Thank you for sharing this difficult loss with us all. It reminds me of the loss of my brother, who died at the age of eighteen. He and I were very close. I miss him to this day and yes, the loss comes up, but so does the happier memories of his time on this earth. Your gift with words will always keep him alive is the feeling I get from your poem. ❤ We are more than we know. A beautiful, serene thought. A beautiful poem, Diana, to go with a sad memory. 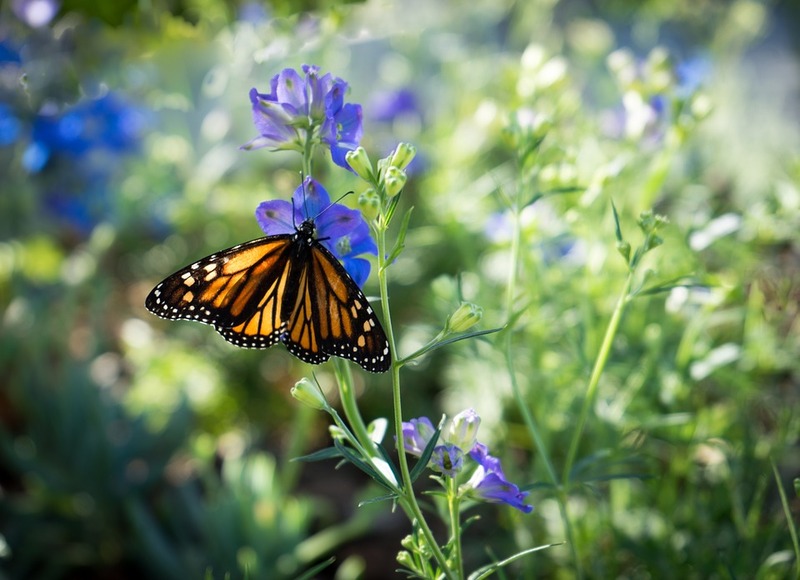 May the sight of Monarch butterflies lift your spirit despite your sorrow. Enjoy the holiday with your family. Happy 4th of July! Thanks, Julie. The poem is sadder than I feel, most of the time. The loss was 14 years ago and I’ve adjusted. We had Tornado Boy over yesterday and went on a gnome treasure hunt. A fun and busy day. I hope you had a Happy Fourth!